The fortunes of Indians on reservations continue to lag those of other racial and ethnic groups tracked by the census in the United States. The per capita income of Indians on reservations, for example, has been less than half the US average, consistently falling far below that of Hispanics, African Americans, Asian Americans, and Indians living elsewhere. 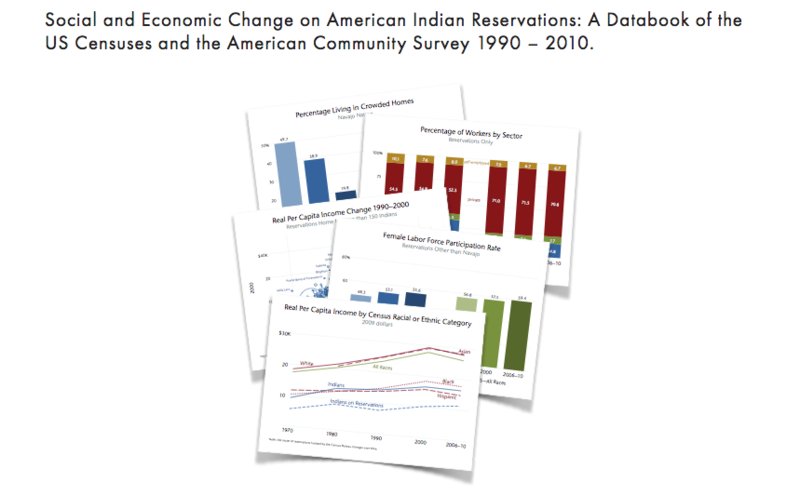 Nonetheless, in recent decades, tribes have made progress in income growth and other measures. This databook–research made possible with funding from the Sycuan Institute on Tribal Gaming–documents how and where change has taken place. Tribal-citizen entrepreneurship: What does it mean for Indian Country, and how can tribes support it?